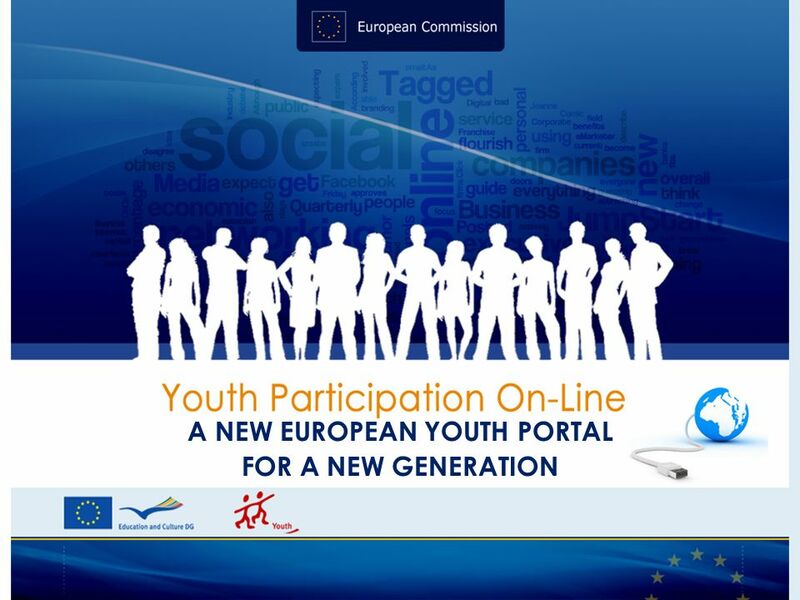 A NEW EUROPEAN YOUTH PORTAL FOR A NEW GENERATION. 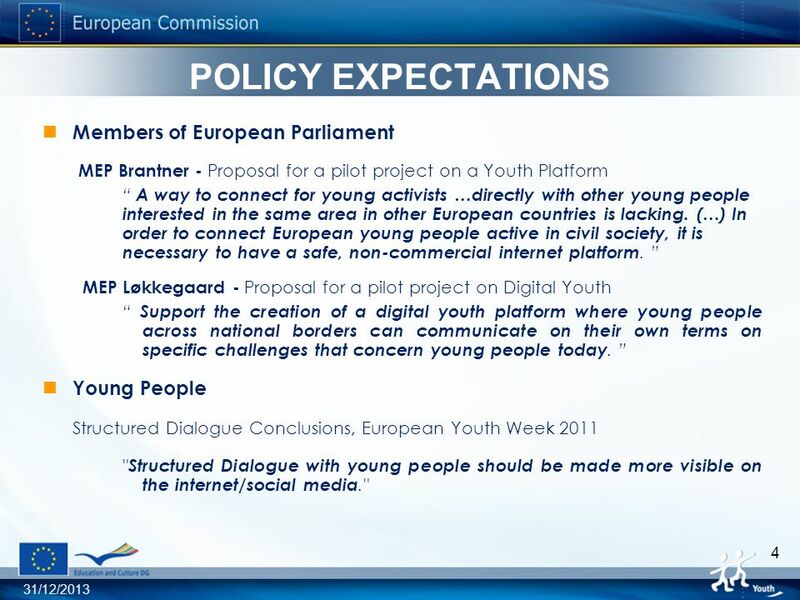 3 31/12/2013 3 POLICY MANDATE Treaty on Functioning of European Union Article 165 " Union action…shall be aimed at encouraging the participation of young people in democratic life in Europe " Council Resolution on a Renewed Framework for European Cooperation in the Youth Field 27 Nov. 2009 The Commission will revise the EU Youth Portal and promote greater outreach to young people. 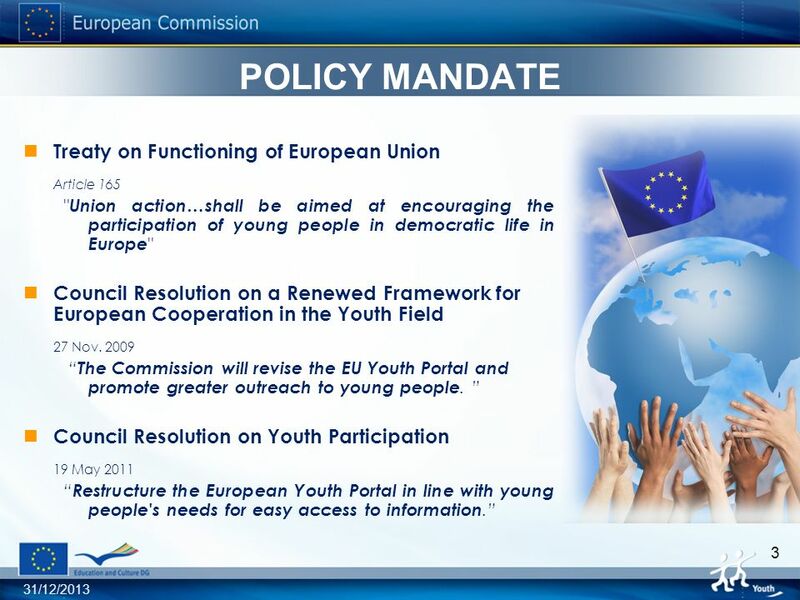 Council Resolution on Youth Participation 19 May 2011 Restructure the European Youth Portal in line with young people's needs for easy access to information. 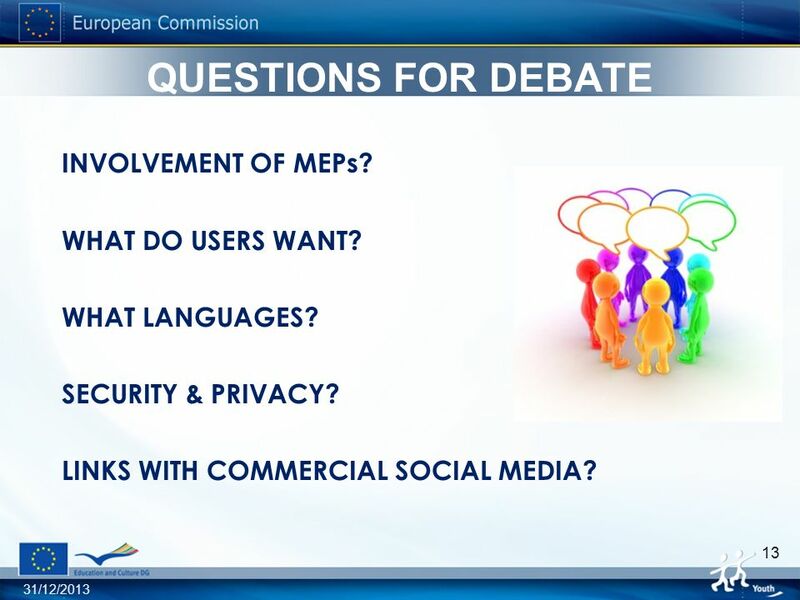 13 31/12/2013 13 QUESTIONS FOR DEBATE INVOLVEMENT OF MEPs? WHAT DO USERS WANT? WHAT LANGUAGES? SECURITY & PRIVACY? LINKS WITH COMMERCIAL SOCIAL MEDIA? 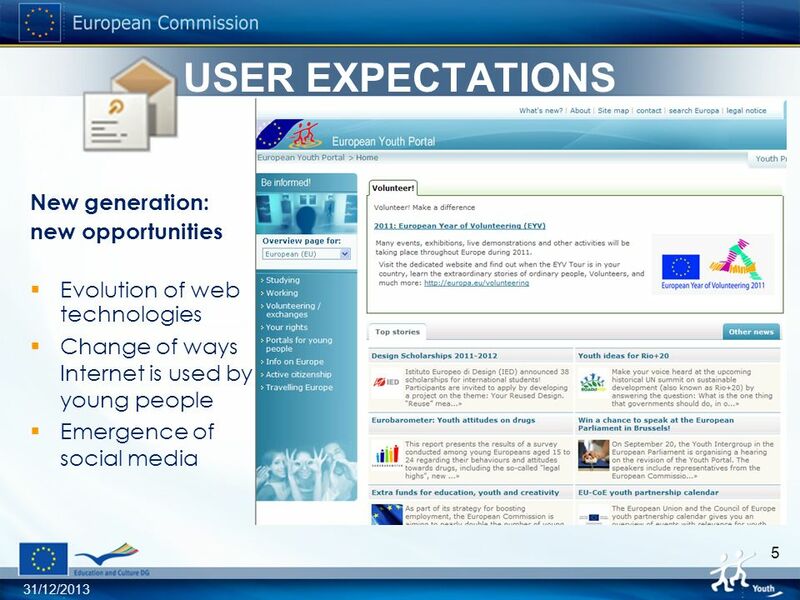 Download ppt "A NEW EUROPEAN YOUTH PORTAL FOR A NEW GENERATION." 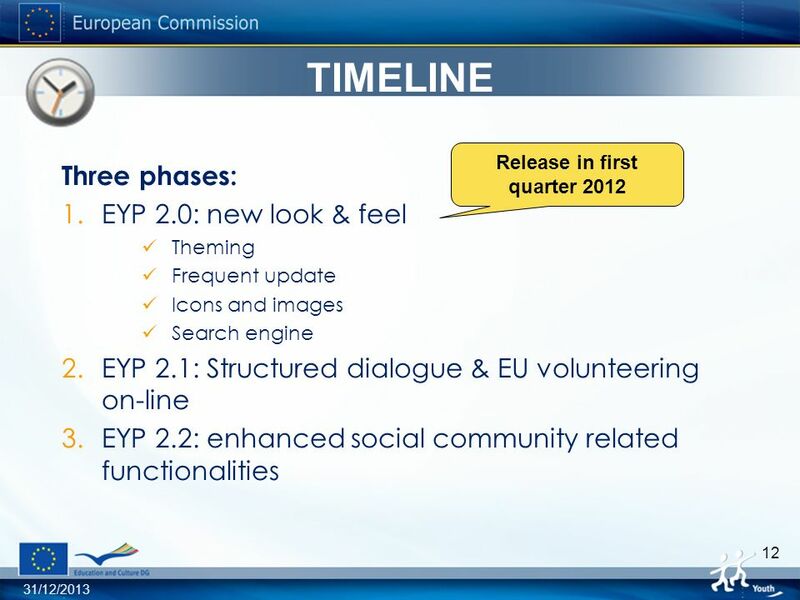 Information and support for running European projects. Elderly participation in European Health policy and Patients Rights Teresa Petrangolini ACN Director. Insert date here. 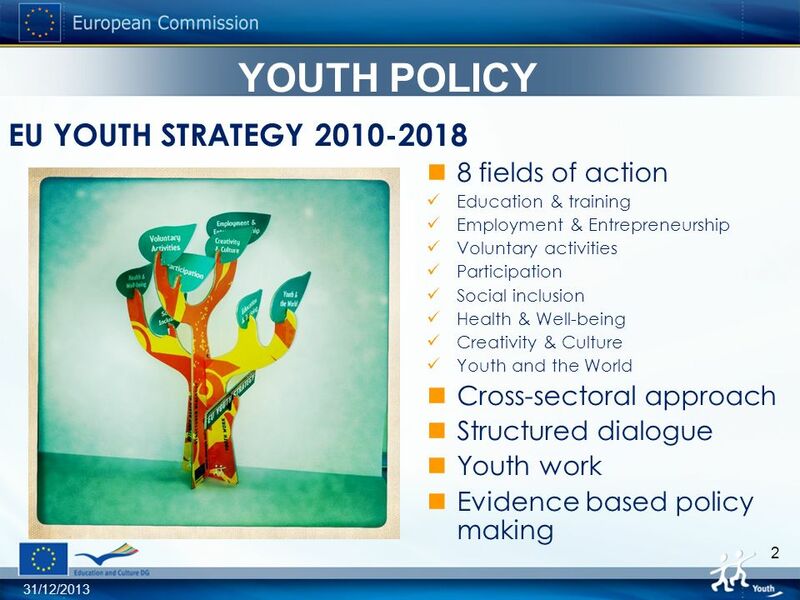 Overview of the Presentation ITENs history and presentation ITEN as a result of policy dialogue ITEN as a horizontal cooperation tool. Meeting of Europes Foundations, Regions and Cities for Social Innovation 24 October 2012 What do we understand by social innovation in different EU countries. 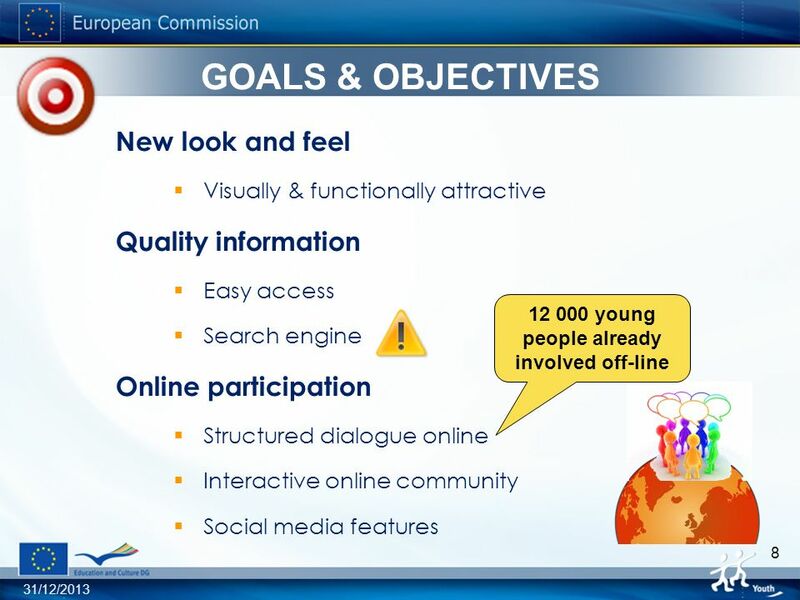 Erasmus for All Creative Europe The Commissions proposals for Directorate-General for Education, Culture, Multilingualism and Youth. 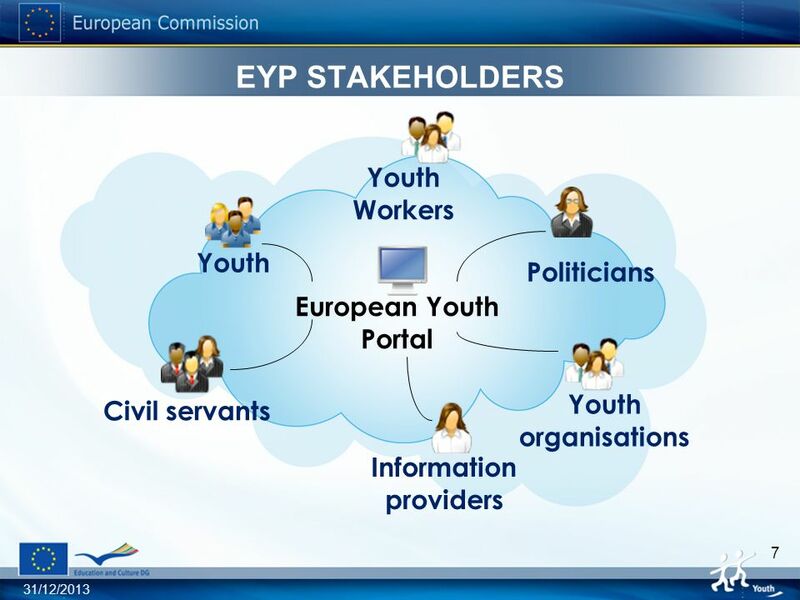 Bring every citizen, school, business and administration on-line - quickly create a digitally literate and entrepreneurial Europe ensure an inclusive information. Seminar "Open Government in the Making" Brussels, 4 October 2012 Andrea Halmos European Commission, DG CONNECT Unit H3 Public Services. The EU framework for integration of third-country nationals: a focus on the role of cities and on funding opportunities Martin Schieffer, Immigration and. 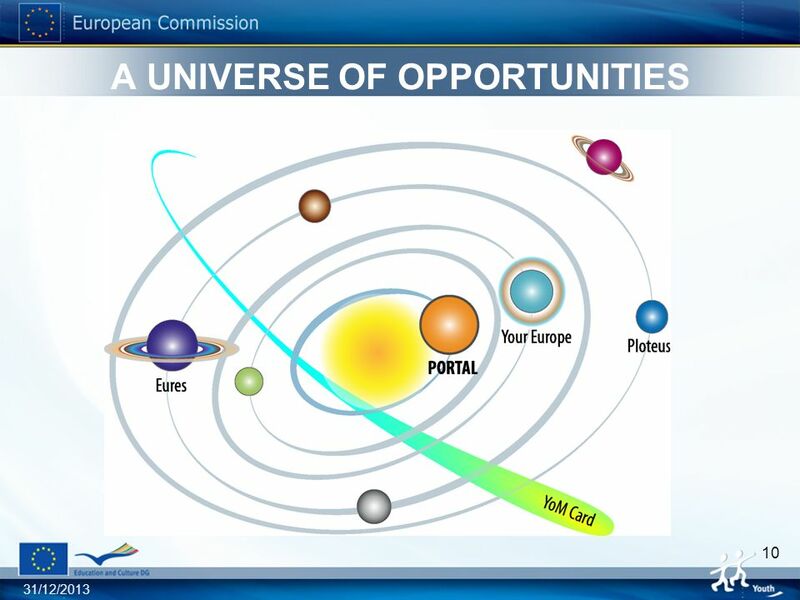 EU Open Data Portals and Infrastructures Open EU Publications Office Luca Martinelli Publications Office of the European Union Seminar Open Government. 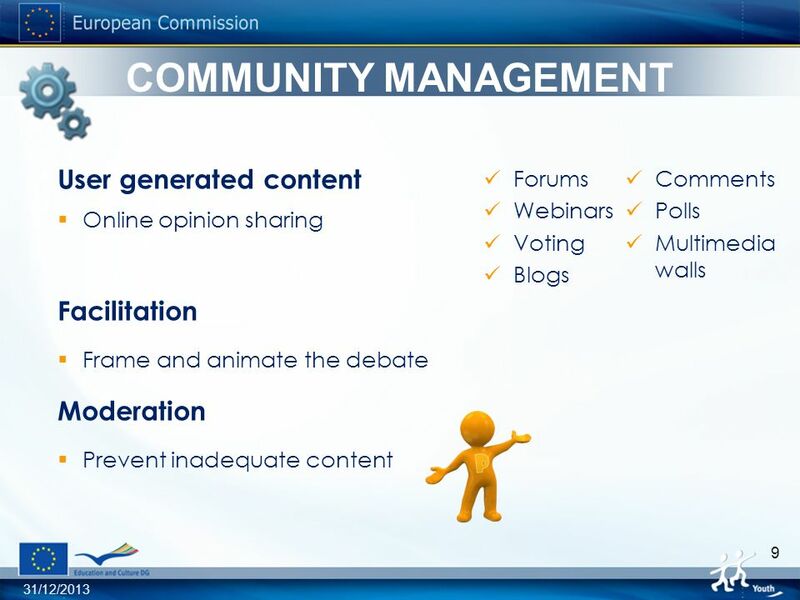 Dominique OSTYN Senior Manager Communications & New Media FEDERATING STAKEHOLDERS FOR EUROPEAN CITIZENS INITIATIVES INITIATIVE.EU. Operational Programme I – Cohesion Policy Event part-financed by the European Union European Regional Development Fund Evaluation Plan for Maltas. European Commission Erkki LIIKANEN Member of the Commission for enterprise and information society E-government and the Lisbon strategy IDA Conference. IPTS workshop on ICTs for learning the host country language by adult migrants in the EU Seville 1-2 October Welcome and Introduction Clara Centeno. DG Education and Culture New generation of programmes Marco DI MARTINO Information officer Athens, 7 December 2006. 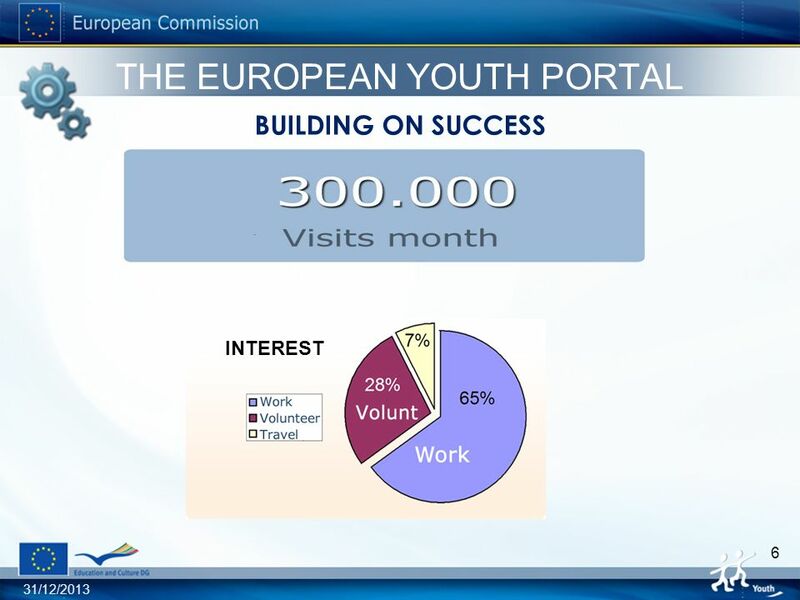 Erasmus+ Erasmus+: Sport Yves Le LostecqueDG Education and Culture Head of the Sport UnitEuropean Commission.